Sherman Oaks CA is one of the more urbanized cities in the San Fernando Valley. It has some commercial skyscrapers in addition to high-density apartment and condo developments. Some single-family homes can also be found in Sherman Oaks CA. The area is predominately white, affluent, well-educated, and older. Residents can enjoy lots of amenities at the local Van Nuys Sherman Oaks Park and Senior Center, which features baseball diamonds, basketball courts, a soccer field, tennis courts, a seasonal outdoor pool, banquet facilities, and meeting spaces. Sherman Oaks Castle Park has fun family activities like mini golf and batting cages. If residents don’t want to picnic in a park, they can head to a restaurant in Sherman Oaks CA. 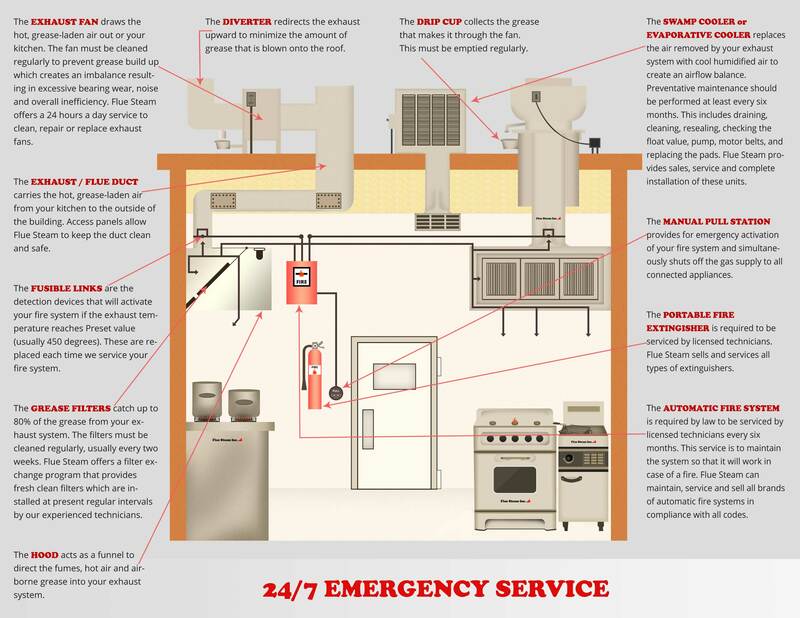 If you own or operate a restaurant in Sherman Oaks CA, you can trust Flue Steam to help you reduce the risk of fire in your kitchen through exhaust system scraping and steam cleaning as well as fire extinguisher sales.